It felt like a death in the family, of an elderly relative he'd spent time with in childhood. That's how Alex Munter describes hearing that the newspaper he founded in his parents' basement 35 years ago will print its final pages next month. Last week's deal between Postmedia Network Canada Corp. and Torstar Corp. to swap 41 papers, and their decision to close most of them, means that many communities are saying goodbye to their own publications – some more than a century old. The Kanata Kourier-Standard is one of them, and while not as aged, the paper serving the Ottawa suburb has a unique history. Far from the whisky-soaked stereotype of the newspaperman, Mr. Munter started the Kanata Kourier before he could legally drink. 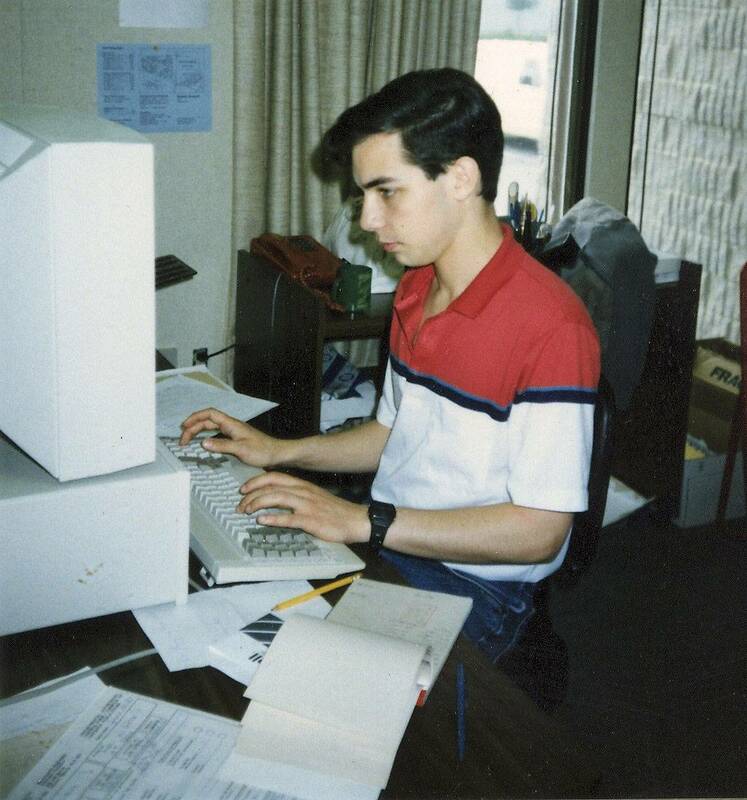 In 1982, 14-year-old Alex Munter secured startup money from his parents and printed his first, eight-page issue of the Kanata Kourier. It was 1982, he was 14 years old and he commandeered the family Ping-Pong table to lay out the pages. It wasn't his first go-round. He had created a student newspaper in Grade 6, copied on a mimeograph machine "and once censored by my co-editor's dad." Later, he volunteered for the other community paper, the Kanata Standard, until they told him they had enough volunteers and didn't need his help. So he secured some startup capital (a $2,500 interest-free line of credit, from his parents), conscripted his little brother as a "reluctant delivery boy" and printed his first issue. It was eight pages, and 2,000 copies rang up a $235 printing bill. It featured stories on changes to bus routes, the opening of a radio station and an editorial arguing that Kanata was underrepresented on the regional council. His father Ernst, principal scientist at Nortel at the time, wrote a software program to keep track of advertising and to bill clients. His mother, Yolaine, was his first advertising manager. Someone had to take sales calls while he was at school. It would be four years before Corel would give its new desktop publishing software to the Kourier to test out in beta; at the beginning, the whole thing was assembled on a second-hand typewriter and pieced together with rubber cement. "I feel a bit like my grandmother talking about the introduction of the automobile," Mr. Munter says, laughing. "This whole thing is making me feel like a historic relic." The Kourier became known for an occasionally feisty style in its coverage. "Part of that was being a teenager," he says. "But also, there was a market for it." "I think he went overboard sometimes," recalls former Kanata mayor Des Adam, who once quit talking to the Kourier's reporters for months after a columnist compared him to a dictator. 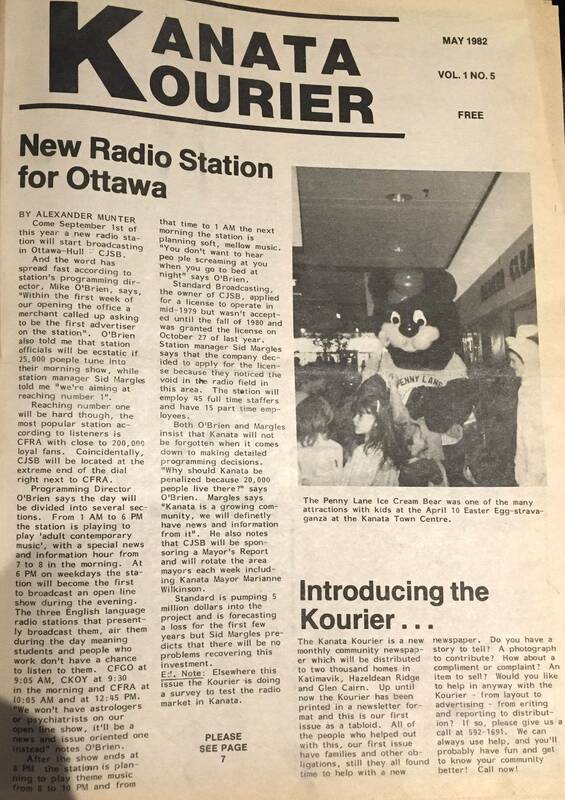 A May, 1982 edition of the Kanata Kourier. Disputes aside, the paper was "well-read, and I think very important," in informing what was a very politically engaged town, he says. "He started it out of nothing. He deserves a lot of credit for that." Marianne Wilkinson, now an Ottawa city councillor representing Kanata North – and the first mayor of the former City of Kanata – says she has fielded calls from citizens in tears over the paper's closure. Ms. Wilkinson wrote for the Standard, the paper that later merged with the Kourier, beginning in 1969, just before her political career started. "He came to council meetings, his feet didn't even touch the floor[sitting in the chairs,]" she recalls of Mr. Munter in the Kourier's early days. "He asked questions and I gave serious answers, like I would anyone else. People don't take children seriously enough." When Kanata became a two-paper town, the issues began to be covered more comprehensively, she recalls. "Competition is good." The writing was a one-person show, until Mr. Munter could afford to hire a few part-timers. By 1989, when Mr. Munter sold the paper to Renfrew, Ont.-based Runge Newspapers, which also owned the printing press used by the Kourier, ("It was vertical integration, from their perspective,") its circulation had grown to 16,300; it had 14 full-time and part-time staff and roughly $500,000 in annual advertising sales. 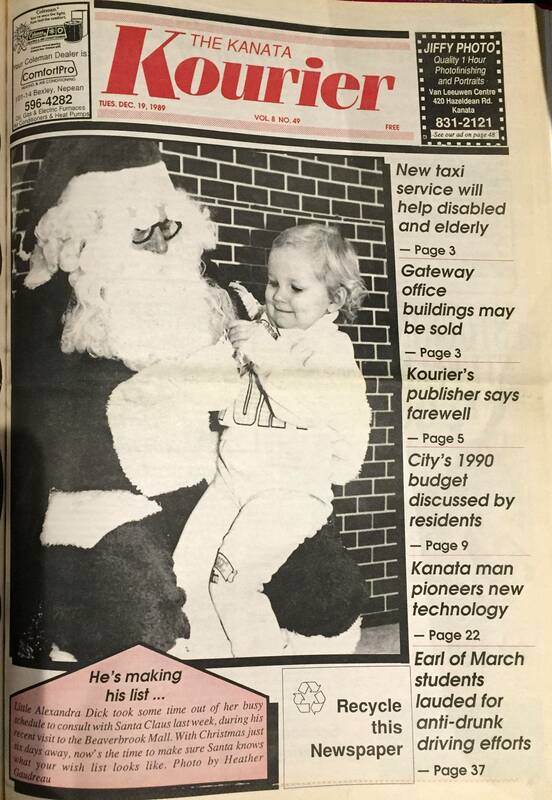 A Dec. 19, 1989 edition of the Kanata Kourier. The sale allowed him to pay off his parents' mortgage. The last issue he oversaw included stories about a report recommending commuter rail to downtown Ottawa ("still waiting," he notes), local objections to the 1990 city budget and a chronicle of the lousy season of the local Junior A hockey team, the Kanata Lasers. He walked out of the office for the last time on Jan. 1, 1990, and remembers thinking that the specialized skill set of running a local paper had left him unemployable. He went on to 12 years in municipal government, work with a child and youth mental-health agency, and his current role, CEO of the Children's Hospital of Eastern Ontario. Meanwhile, the paper merged with the Standard and was eventually acquired by Torstar division Metroland, which traded it last week to Postmedia and landed it on the chopping block. Along the way it struggled, like others, with dwindling print advertising revenue. Ms. Wilkinson is now holding meetings to discuss founding a potential replacement, a move Mr. Munter supports. "A community Facebook page is not the same as a community newspaper," he says. "Kanata still has a very engaged population. … A lot of issues in municipal politics are about development, and it continues to grow and develop. For sure, there's a need."